Fabric Bible Cover – Crazy for D.I.Y. June 14, 2013 October 27, 2016 • Crazy for D.I.Y. 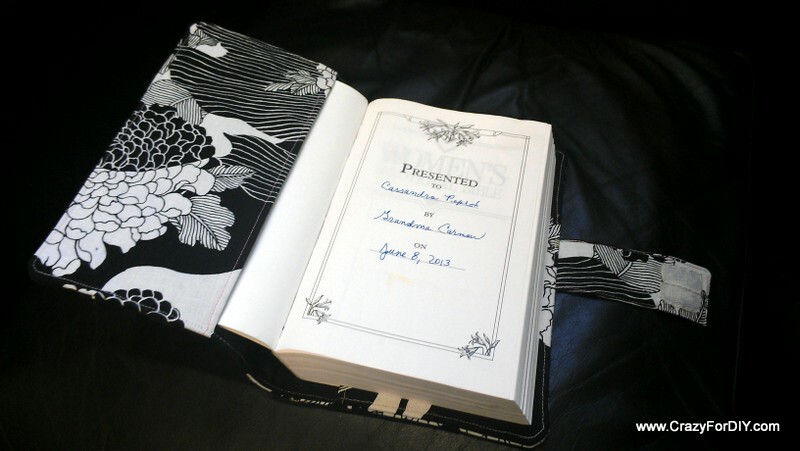 I am so proud of my niece for wanting to be close to Christ and for her 20th birthday, she asked for a new bible. My mother and I were more than happy to give her this wonderful gift. She bought her beautiful soft cover Woman’s Devotional bible and I decided to make a cover for it. It will be something she uses every day of her life, so it needs to be protected! I quickly searched Pinterest for a tutorial on book covers and came across Simply Handmade‘s blog link to Scripture/book cover tutorial. This tutorial was a life saver. It took me about 5 hours to complete from choosing the right fabric to sewing the finishing touches. While the instructions are a bit vague, the photos provided help visualize how it should ultimately be constructed. 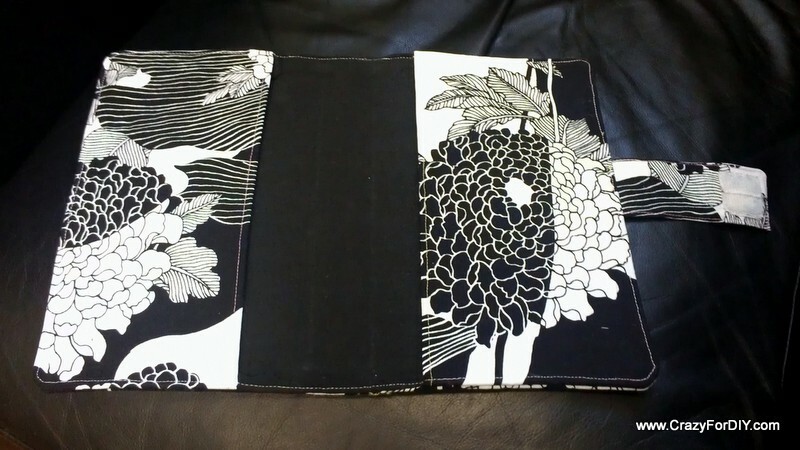 I used my favorite fabric which I have plenty of: Keepsake Calico – Yoko Black & White from Joann’s. I love the Keepsake Calico Fabric line .. their fabric prints are really impressive and can be used with so many projects – very worth the price. I did not have enough white or black thread. 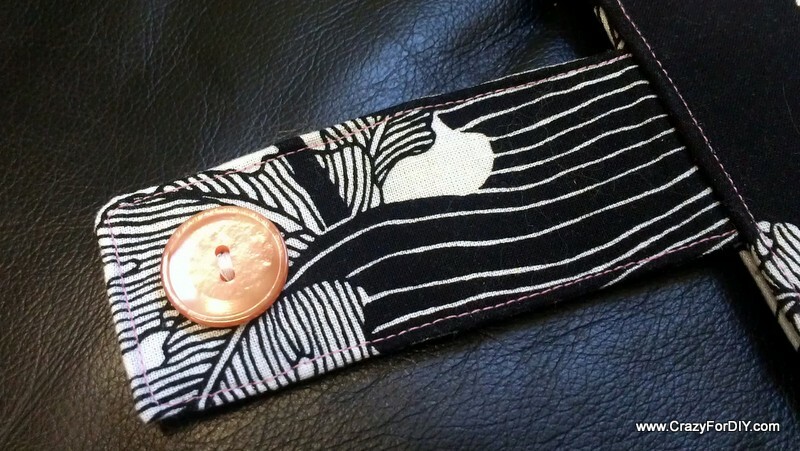 I used pink thread to accent the pink button. I think it turned out better this way. 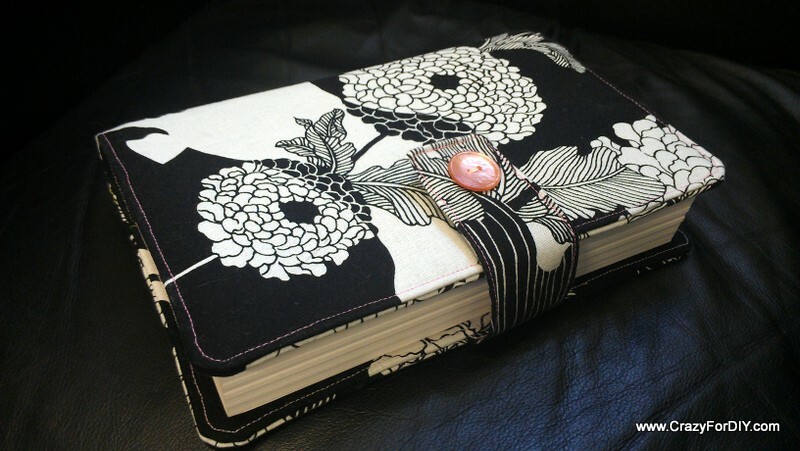 Posted in SewingTagged bible, book cover, diy, Fabric, interfacing, pinterest, sewing, tutorialBookmark the permalink. This turned out beautifully! Great job! !